Most of us will experience the unpleasant sensation of tooth pain at least once in our lives. And as anyone who has had a toothache before will tell you, it’s pretty unbearable. Tooth pain is unlike any other kind of pain. It can come on suddenly and sometimes it seems as if nothing can help relieve it. At our dental office in Wicker Park, we understand and are here to help you by listing some possible reasons your teeth hurt. 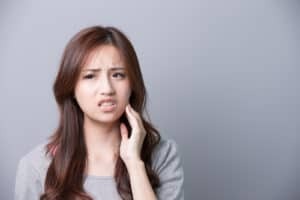 While there are a variety of possible explanations as to why your teeth hurt, it’s important to remember that tooth pain is typically a sign there’s a problem and you should get to your dentist in Wicker Park as soon as you can. If you’re looking for a compassionate dental team to take a closer look, we’re always happy to help. We welcome you to call our Wicker Park dental office at any time to schedule a visit.